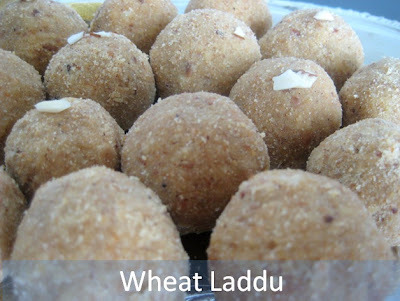 This is a very healthy laddoo that my mom often prepares. She learnt it from one of her friends from north india. Fry the nuts in 1 tablespoon of ghee and keep it aside. Heat 1 tablespoon of ghee and roast the wheat flour and poppy seeds until the raw smell goes off. While it is still hot, add grated jaggery and cardomom powder and mix well. 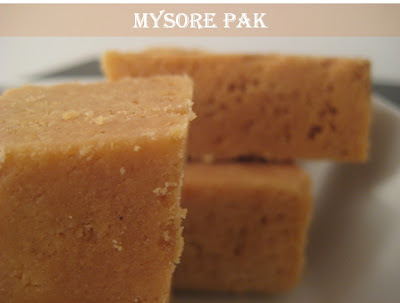 There is no Diwali in South India without this delicious sweet. This is quite easy to prepare with just 3 ingredients and at the same time it can be a bit challenging too for the beginners. Once mastered, this is just a breeze and can be prepared within 30 minutes. Heat 1 tablespoon of ghee in a wide pan and add sifted besan to it. In a wide pan/sauce pan, mix 1/2 water and 2 cups of sugar. Immediately add the sifted besan to the sugar syrup little by little and mix well. Pour a laddle of hot ghee in the besan mixture.Once the ghee is added, the mixture will froth for a while. (It will be similar to the reaction when we add vinegar to baking soda).This is quite normal and this is the indication that besan is getting cooked in hot ghee. 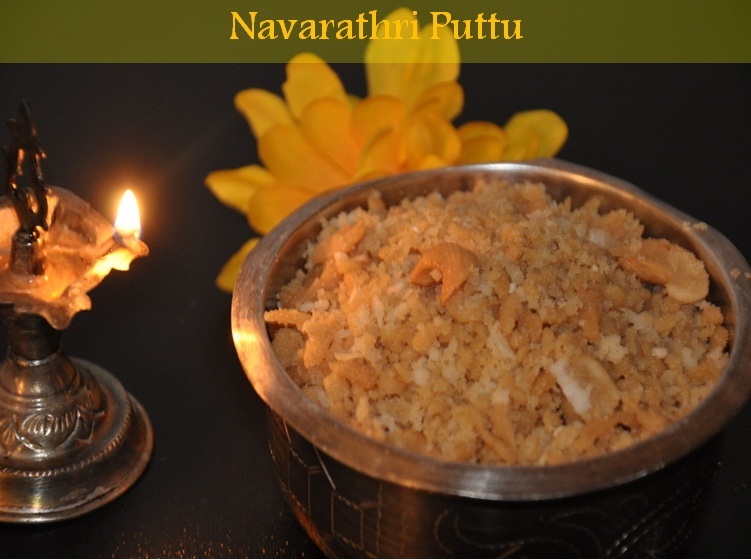 By the time the whole ghee is added, the besan mixture would have cooked.In a couple of minutes, the mixture would form like a ball and will start becoming porous.In Tamil it is called as 'Poothu varuvathu'. Quickly transfer it to a greased pan. The sugar syrup consistency will change very quickly and we need to add besan before that. Add mustard seeds.Once it starts spluttering add urad dal, red chillies, curry leaves and grated coconut. This puttu is prepared for all kinds of functions related with ladies and is more inevitable during Navarathri.It is usually made on Fridays during Navarathri. Traditionally this puttu is made by washing the raw rice, drying it and then grinding in machine. When the water is lukewarm sprinkle this water on the rice flour and mix well. After it cools down, break the lumps with your hands.You can use a sieve as well. I am very glad to announce the first event in my blog. As there are festivals round the corner this month and being my first event I thought of making it sweet but a healthy one. Friends, please send in your yummy dishes for this event with this combo. 1. 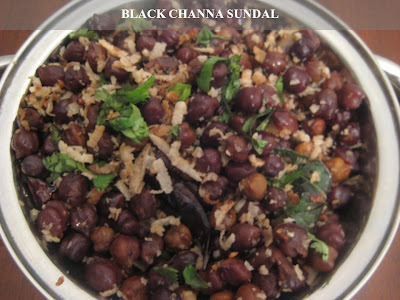 Make a dish using the ingredients mentioned (Wheat & Jaggery/Brown Sugar/Cane Sugar). Ingredients not on the list can also be used, but we should be able to taste the mentioned ingredients. 4. Link to both Vardhini's Dish it Out announcement and this announcement is mandatory. 5. Archived entries are accepted as long as updated with these hyperlinks as above. 6. Non bloggers may also send in their entries.